Monitor the process location and variation over time. Compare the location and variation of various processes or categories of products or services. 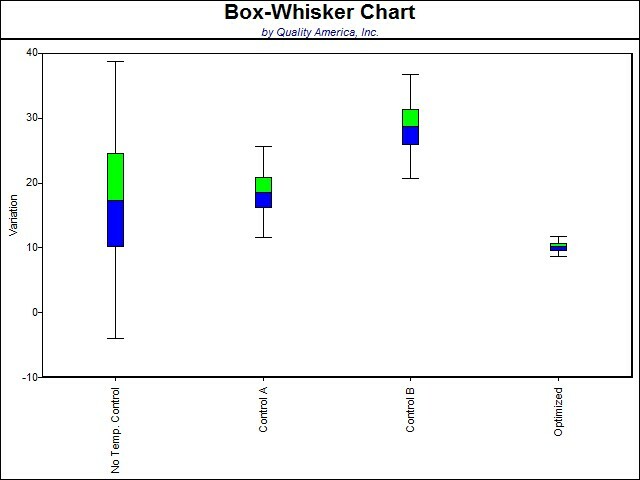 In any application, Box Whisker Charts are NOT control charts, as they do not have statistical control limits. For that reason, they may not be used to establish statistical control of a process or to measure process capability.